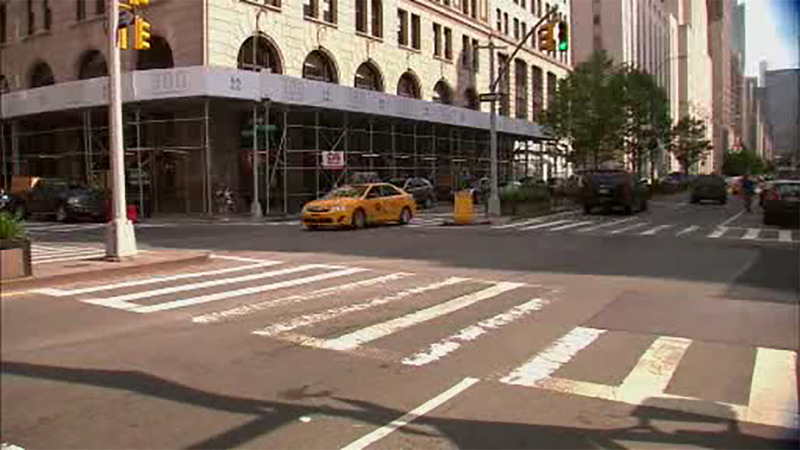 GRAMERCY, Manhattan (WABC) -- A man is in critical condition after being struck by a bus in Manhattan early Saturday. EMS received a call of a pedestrian struck at the corner of Park Avenue South and East 22nd Street in the Gramercy section at about 5 a.m.
Police say a 30-year-old man was lying in the roadway when he was struck by a northbound MTA bus at the location. He suffered serious head trauma and was taken to Bellevue Hospital. The NYPD's Collision Investigation Squad is investigating the accident.